Weather Heavy rain starting this evening and breezy tonight. 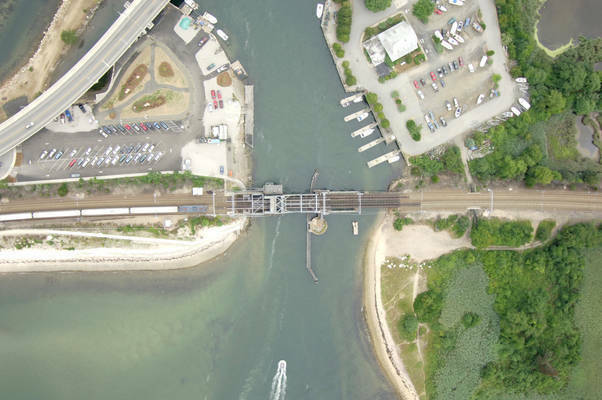 The Niantic River is located five miles west of New London and 25 miles northwest of Point Montauk (Long Island) off Niantic Bay and Long Island Sound. Quiet and a bit more remote than some of the surrounding boating destinations, many people find the Niantic River area a welcome break from the active happenings at other ports. There are about five marine facilities in the area, and all of them have at least a few slips laid aside for transient guests. Once you have cleared White Rock at flashing red bell buoy 6, head toward red nun 8 at Black Rock east of Bay Point. Now safely inside Niantic Bay, your next step is to pick up green daybeacon 1, and then follow green can 3 and red nun 4 into the twisty Niantic River entrance. Two bridges cross the crooked river entrance at its mouth, and since currents can run through the area at up to four knots, you will be well served to contact the bridge tender on VHF Channel 13 before you arrive. 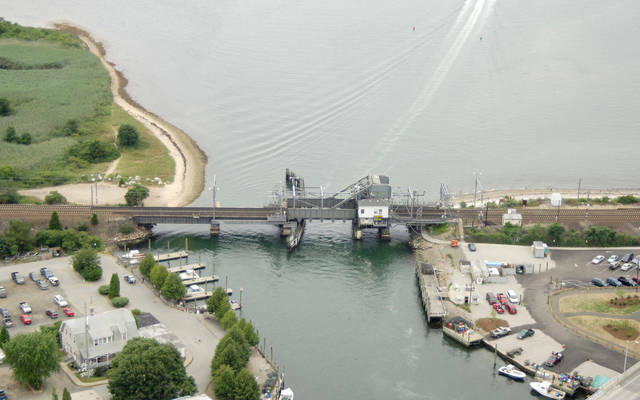 The first bridge is a railroad bascule bridge with 11 feet of closed vertical clearance that opens on signal unless there is approaching rail traffic. The second bridge, with a 31-foot closed vertical clearance operates on a restricted opening schedule. From 7 to 8 a.m., and again from 4 to 5 p.m., the bridge is closed for rush-hour vehicular traffic. Just inside the first bridge is a large repair facility, and then farther up the river past the second bridge are several marine facilities, many of which accepts transient guests. 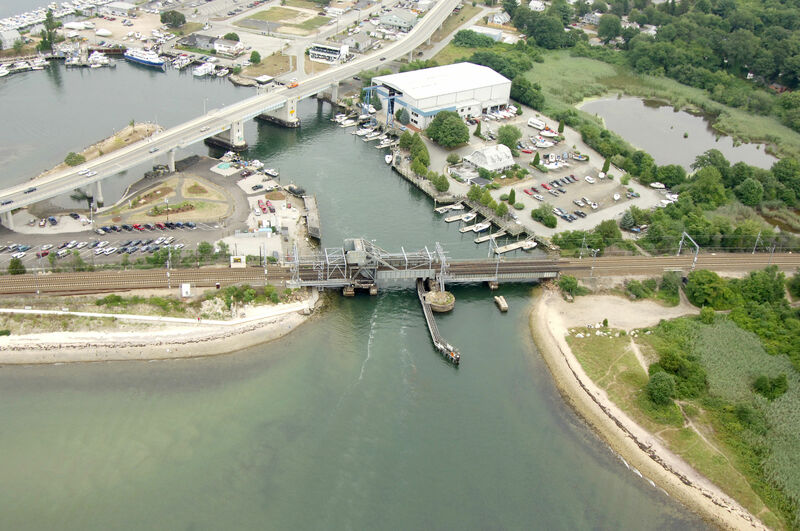 Most of the Niantic River channel is marked with private aids, but depths are reported to be holding at around four to five feet. 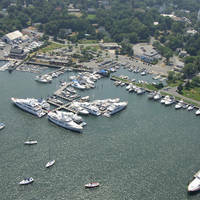 If you are in doubt, obtain some local knowledge form one of the marinas before making your upriver journey. No reviews yet! 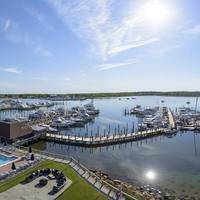 Be the first to write a review of Niantic River Inlet.